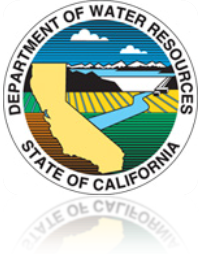 The California Department of Water Resources (DWR) is embarking on an update of the Geothermal Heat Exchange Well (GHEW) Standards and invites your participation. Update of the GHEW Standards is an initial step toward updating the California Well Standards. This project is important for protecting the state’s groundwater since it provides statewide minimum standards for the construction, maintenance, abandonment, and destruction of GHEWs. California Water Code sections 231 and 13800 mandate DWR to recommend minimum standards to the Legislature and Regional Water Quality Control Boards and to submit them to the State Water Resources Control Board for adoption into the Model Well Ordinance. The Model Well Ordinance sets the minimum standard that local well ordinances must meet and is the default where no local ordinance is adopted. Local well ordinances are enforced by cities, counties, or authorized water agencies, also referred to as Local Enforcing Agencies. The process to update and finalize GHEW standards will include a significant public outreach effort. DWR plans for a 30-day public comment period and a minimum of two public workshops to present draft standards and solicit comments. DWR aims to engage interested stakeholders throughout the process.